A view of a cargo boat entering the docks. An oil painting by Claude Buckle. A rather gloomy picture of the docks, cargo boats and tugs. A lot of smoke is also shown from coal fired steam engines. 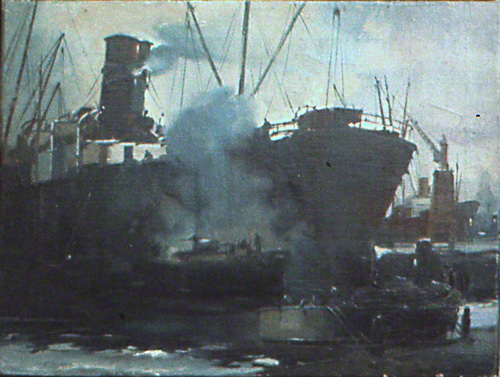 Claude Buckle’s oil painting shows the true realism of the docks. Created in 1952.